If you’ve found this article, you’re most likely coming from part one of this two-part series in which we try to reassure you, the incoming class of first-years (or upperclassmen who just like reading back-to-school content) that all your academic, social, and lifestyle concerns have solutions. If you haven’t read part one about the academic scene at Barnumbia, loop back around to it at the end of this article. Social scenes and lifestyles—where to begin? From knowing where to find the best parties to figuring out how to avoid them if you’re a mellow introvert like me, from finding friends to devising a healthy coping system if you start feeling homesick, there’s a lot we can cover here. Let’s dive right in, shall we? What if my roommate and I are polar opposites and can’t agree on anything? What should I do if our differences begin to have a negative impact on my college experience? Successful cohabitation with another young adult depends on two things: negotiation and communication. There’s no getting around it—you’ll have to get used to the fact that your space is not your own. Even if you shared your room in the past, you’ll still have to get used to a roommate whose habits will be different from your previous ones. We’ve written an entire article about all the roommate archetypes—the BFF, the perpetual ghoster, and everything in between—and how to deal with them. After you have the skeleton of a game plan, lay down some cannot-be-broken ground rules during NSOP (your RAs will specifically designate a mandatory meeting for you two [or three or four] to go over this, so it won’t be awkward for you to bring up or anything). If there’s anything that you feel especially strongly about, voice it now. You’ll find that most of your roommates will be decent human beings and will always listen to your “No,” but that also means that you have to listen to theirs. If you say, “No alcohol in the room,” fine—but listen to them when they say, “No overnight guests.” Sure, these differences may be irksome, but if you establish your boundaries now, you’ll avoid conflict later. If you and your roomie still aren’t jiving down the line, you’ll have a decision to make—are your differences so severe that they’re affecting your wellness? Have you tried to work out your issues before and talked to your RA, but still aren’t making progress? Barnumbia is hesitant to grant roommate change requests, but they do happen—read more about the process here (Columbia) and here (Barnard). What if I can’t find any friends to go to a party with me? Or, what if all the friends I make are really into the party scene and I just want to stay in and watch Netflix? Ok, the bad news first: Many of you may feel like this during NSOP and in the beginning of the year. Your friend circle will probably initially be limited to your OL group and floormates, simply because you haven’t had as much time to meet other people who you enjoy spending time with. But now the good news: You don’t need to make lasting friendships on day one of your college career. As the semester goes along, you’ll find yourself surrounded by both people who completely mesh with your personality and those who are the complete opposite, but there’s no hard-and-fast way to finding a social group that’s interested in everything you are—it really just takes time. If the semester is going along and you feel like you can’t do the things you were hoping to do because of the people around you, don’t feel like you have to conform to the friends you’ve already made. If they invite you to do something that you’re not too keen on (whether it be partying or staying in to watch Netflix), find something else that you all enjoy doing—and then try to find more friends in classes and the clubs you’ve joined to go to that party together. Going off of that—what about frat parties? How do I find them and how do I stay safe at them? There aren’t any frat parties during NSOP, but once the frat members move back into their brownstones, you can probably expect to find two or three parties per weekend. Keep in mind, though, that these parties are usually invite-only, meaning that you have to know one of the brothers (or know someone who knows a brother) to get in. Just like with finding the one true friend who really gets you, forming these connections may take time. If you and your buds can’t find a party on frat row, do not despair—there will always be smaller dorm parties in Carman, Ruggles, McBain, and EC. About staying safe: Party in pairs (or groups). Make sure that you’re not the only person watching over yourself—you should always make sure you have another friend at the party who can be depended on to have your back, get you home safe, and make sure you don’t do anything dangerous. If you’re worried about getting separated, download an app like Find My Friends so you and your group can find each other again. I know I’m going to get homesick—how will I be able to deal when it happens? There’s probably not one person on campus who hasn’t felt homesick at some point (and if you do find someone who reports the contrary, they’re probably lying). We get you—even if you love the city and the school you’re at, sometimes you just want to be home. These feelings might be at their strongest during the beginning of the school year, but what we can say is that they will mostly go away with time, even if they never completely disappear. The best medicine for homesickness is distraction, and luckily for you, you’re in a city and school that’s full of things to do. Feeling homesick? Call home to talk to your friends and fam for a while. However, it’s important to not let these feelings control your college experience and to not just fall back on your old support networks all the time. After chatting with your hometown ties, hang up the phone, close the FaceTime window, and go out to see what’s in front of you instead of pining for what you left behind. There’s plenty to do near campus or around the city to keep you busy—go out to eat with your friends at one of the dining halls or restaurants around MoHi, or head downtown and explore the city. Eating in the dining hall by myself: Acceptable or major faux pas? Acceptable. Everyone’s schedules are so different that it’ll actually be hard to find someone to eat every meal with. When you get to Ferris/John Jay/Hewitt/Diana/JJ’s Place, you’ll see many people munching on their pasta/desserts/cold tofu/white pizza/mozzarella sticks in solitude. Just make sure to bring along something to read or study to keep yourself occupied! What if I get to Barnumbia and begin to feel like I chose the wrong place to come for college? First things first: don’t panic. There could be a number of reasons why you’re feeling like this, none of which are related to your actual feelings about the school—the weather, homesickness, one bad grade, etc. Many first years do struggle with imposter syndrome, but in moments like this, try to distance yourself from the problem—go on a walk, take a nap, call a friend, watch a movie. When you’re done with whatever activity you chose, does your mood feel any better? If the thoughts that you’ve picked the wrong place still linger, the best thing you can do for yourself is talk about it. This is one of the times where walk-in hours at Counseling and Psychological Services and the Furman Counseling Center will be invaluable for you—the counselors see a lot of students in all years who deal with these thoughts every year, so they’ll know how to assess your situation and offer you the help that will be best for your wellness. Like with the academic scene we talked about in part one, developing a social group and lifestyle that make you the most comfortable will be a process of trial and error, so don’t give up on finding the best situation for you. It’s out there somewhere, even if it takes some searching to find. Filled out the class of 2021 survey yet? What are you waiting for? Spend five minutes now and be rewarded with a $50 Amazon gift card later! Missed part one of this two-part series? Never fear—read more about the solutions for your common academic worries here. We all need a little help from time to time. Make sure you brush up on all of Barnumbia’s physical and mental health resources to help you as you transition to college life. One of the biggest changes you face may be having to learn to live with another person. Here are the six kinds of room and hallmates you’ll have in college, and how to deal with them. Friends will be an integral part of your first-year experience. Here’s how you can find them before, during, and after NSOP while also maintaining your hometown ties. We were all first-years once. Here’s what we learned along the way about making a smooth transition to college. Flying across the pond or Pacific to get to CU? 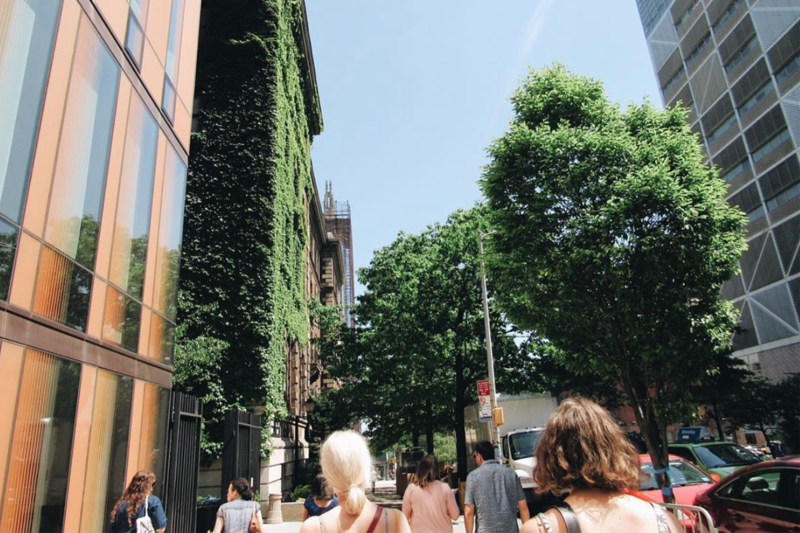 If you’re an international student, here are some targeted tips for adjusting to life in New York, as well as concerns you’ll have to be aware of. Have any other first-year fears that we can trample into the dust? Tell us about them here, or on our Facebook, Twitter, or Snapchat @CUSpectrum. Veronica Grace Taleon is Spectrum’s editor and a Barnard junior. If anyone out there is looking for an introverted friend to stay in on the weekend to watch The Office reruns, let her know at veronica.taleon@columbiaspectator.com.